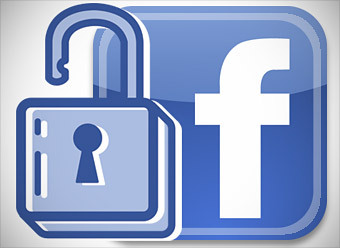 This post is about recovering your lost facebook account. One of my friend’s facebook account was recently hacked. He changed name on my friend’s profile and all the recovery option. I 3 to 4 days trying himself, he asked me for help. So I started searching for how I can recover the hacked facebook account. If above link doesn’t help and if you ended on “No Email Access” page. I would suggest not creating new facebook account and follow below form of facebook. Select Yes for “Is this account impersonating you?” question and upload your ID. Please add your comment if you feel this helped to you anyway. I would love to here from you. Also post if what happened and what facebook reply. I will update this post later once my friend got any reply from facebook. This is useful when in code there are multiple blank line and code is not well formatted. To show GIT branch in netbeans status bar, install this plugin in your netbeans. Please comment if you need any help. So I googled it but didn’t found the perfect solution. I will show how can you debug the issue. First look for file my.ini which can be found in “C:\wamp\bin\mysql\mysql5.6.17” , open that file on look for “log-error”, this will show you the path where error log is stored. In my case it is, “c:/wamp/logs/mysql.log”. InnoDB: Attempted to open a previously opened tablespace. Previous tablespace kmk/players uses space ID: 58 at filepath: .\kmk\players.ibd. Cannot open tablespace ocean/acos which uses space ID: 58 at filepath: .\ocean\acos.ibd InnoDB: Error: could not open single-table tablespace file .\ocean\acos.ibd InnoDB: We do not continue the crash recovery, because the table may become InnoDB: corrupt if we cannot apply the log records in the InnoDB log to it. InnoDB: To fix the problem and start mysqld: InnoDB: 1) If there is a permission problem in the file and mysqld cannot InnoDB: open the file, you should modify the permissions. InnoDB: 2) If the table is not needed, or you can restore it from a backup, InnoDB: then you can remove the .ibd file, and InnoDB will do a normal InnoDB: crash recovery and ignore that table. InnoDB: 3) If the file system or the disk is broken, and you cannot remove InnoDB: the .ibd file, you can set innodb_force_recovery > 0 in my.cnf InnoDB: and force InnoDB to continue crash recovery here. Looking at error, it seems that there is some problem with “kmk\players.ibd” , here kmk it one of the my database. The folders for all databases are in “C:\wamp\bin\mysql\mysql5.6.17\data”. To fix I moved kmk folder to some other place. After this, wampmysqld in services.msc is getting started without any error. Share your experience and error in log file in comment section. This will also prevent other from reinstalling wamp server. Object-relational mapping (ORM, O/RM, and O/R mapping) in computer software is a programming technique for converting data between incompatible type systems in object-oriented programming languages. This creates, in effect, a “virtual object database” that can be used from within the programming language. (Object-Relational Mapping) is a tool that allows you query database table and manipulate data from a database using an object paradigm (Object Oriented). ORM is library which helps you in query the data using functions so that PHP developer do not have to write database query manually. It uses model objects to get the database table’s data. All the mechanical part is taken care by the ORM. You write almost no query retrieving the data from table/s. It uses DRY concept. You write your data model in only one place, it’s easier to update, maintain and reuse the code. A lot of stuff for database manipulation is done automatically, maintaining relation and fetching data is also some times automatically. It forces you to write code in MVC (Model-View-Controller) structure, so in the end your application code will be cleaner. Sanitizing, using prepared statements or transactions are as easy as calling a method. It fits in your natural way of coding. It abstracts the DB system, so you can change it whenever you want. The model is weakly bound to the rest of the app, so you can change it or use it anywhere else. It let you use OOP goodness like data inheritance without head ache. You have to set it up. Same problem. Performances are ok for usual queries, but a SQL master will always do better with his little hands for the big dirty works. It abstracts the DB. While it’s ok if you know what’s happening behind the scene, it’s a trap for the novice that can write very greedy statements, like a heavy hit in a “for” loop. Available ORM in PHP are Propel and Doctrine. You can use any one. Thanks for reading the article. I have taken the help from stackoverflow to write on ORM. Thanks to stackoverflow. Please feel free to comment if you have any confusion. What are DDL and DML statements in MySQL? DDL and DML are different type of SQL queries in MySQL. The full form of DDL and DML is Data Definition language and Data Manipulation Language. Thank you for reading the article. Please comment if you have any confusion. Posted on April 28, 2014 Author TheDigiLifeCategories MySQLLeave a comment on What are DDL and DML statements in MySQL?